Yes, you read it right! The phenomenal Jessica Sanchez the runner-up to Philip Phillips in the recently concluded American Idol. 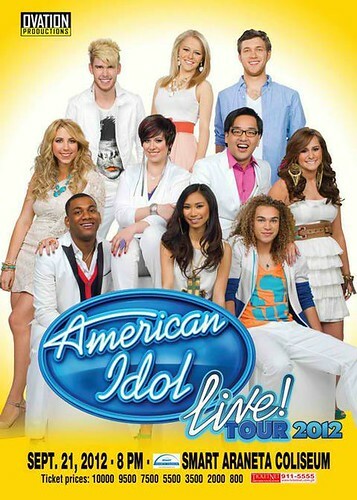 Sanchez will join with the rest of former American Idol contestants for American Idol Live Tour 2012. It will be on September 21, 2012, 8:00pm at the Smart Araneta Coliseum. Ticketnet and its partners will sell the tickets which will be announced soon.